When I’m asked about the differences between fiction and nonfiction, I often find myself attempting to answer this simultaneously impossible and obvious question by rattling on about “Huckleberry Finn.” One distinction is that a masterpiece like Twain’s can make us feel exactly what it was like to live at another time, in another culture; it’s easier for the novel than for even the most incisive biography or historical study to make the reader experience the subject from the inside. The liberties and devices of fiction (dialogue, voice, characterization and so forth) enable the writer to take us into the mind and heart of a person, not unlike ourselves who talks to us from a distant period and place, and so becomes our guide to its sights and sounds, its sorrows and satisfaction. One reason “The Adventures of Huckleberry Finn” remains so affecting and so profoundly threatening is that Huck shows us what it meant to grow up in a slave-holding society and learn to navigate its pathologies. Huck compels us to believe him, which means that we are obliged once again to acknowledge that we live in a country in which ordinary citizens actually bought and sold human beings like Jim. 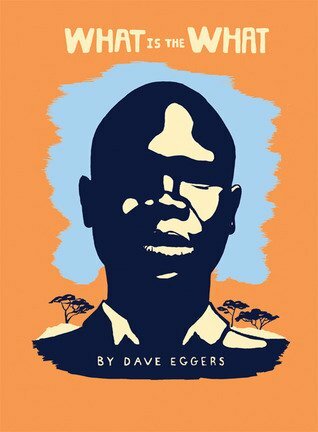 The novel’s subtitle, “The Autobiography of Valentino Achak Deng,” refers to a real-life Sudanese refugee who informs us in a brief preface that “over the course of many years, I told my story orally to the author. He then concocted this novel, approximating my voice and using the basic events of my life as the foundation.” We, readers, are the fortunate beneficiaries of this collaboration. Eggers’s generous spirit and seemingly inexhaustible energy — some of the qualities that made his memoir, “A Heartbreaking Work of Staggering Genius,” so popular — transform Valentino and the people he met on his journey into characters in a book with the imaginative sweep, the scope and, above all, the emotional power of an epic. Intense, straightforward, lit by lightning flashes of humor, wisdom, and charm, Valentino’s story — novel, autobiography, whatever — is an account of what it was like to be one of the Lost Boys of Sudan. Ah, the Lost Boys of Sudan, we say. How sad. The phrase has instant name recognition for many Americans who, I suspect, might then need to pause to retrieve the details (if such a retrieval ever occurs) of how and why those boys got lost in the first place. In fact, their diaspora began during the second Sudanese civil war, which lasted from 1983 to 2005 and displaced tens of thousand of children. Driven from their ruined villages, they wandered through a war zone to resettlement camps and, for the lucky ones, to safety. After having read “What Is the What,” you no longer need to hesitate and wonder. You know precisely who the boys were because you have experienced their mass migration and the mass murder that occasioned it through the eyes, and in the compelling voice, of Valentino Achak Deng. By the time the members of Eggers’s large and youthful fan base have repeatedly consulted the book’s map of East Africa, tracing the Lost Boys’ wanderings, they will be able to visualize the geographical positions of Sudan, Ethiopia and Kenya with a clarity surpassing their possibly hazy recall of anything they might have memorized for a World Civilization class. The lyricism, the detail and, most important, the absolute specificity of these sentences are what make “What Is the What” so persuasive. It’s a real high-wire act, yet Eggers manages to maintain this level of intensity throughout the book as Achak and the other Lost Boys encounter minefields and massacres, loneliness and fear, starvation, disease, predatory wild animals, the seemingly endless varieties of cruelty, the sustenance of fellowship and the surprising manifestations of instinctive human kindness. What’s remarkable is that, given its harrowing subject matter, the book isn’t simply horrifying or depressing. The considerable appeal of Valentino’s personality and the force of Eggers’s talent turn this eyewitness account of a terrible tragedy into a paradoxically pleasurable experience. As with any book we enjoy and admire, we keep turning the pages to find out if everything will turn out all right in the end. And just as in life — I don’t think I’m giving away any suspense-ruining plot points here — things do work out for some characters, if not, alas, for others. Throughout, the narrative is sufficiently elastic to shift back and forth from present to past and sufficiently capacious to include a love story, a coming-of-age novel and Valentino’s unfailingly engaging musings on human nature, love and death, as well as the meaning of the eponymous and ominous “What.” There is also a good deal of African history, often ingeniously framed as dialogue or as a story shared by one of the boys, yet another effective deployment of fictional technique — in this case, to make us painlessly absorb a hefty dose of (in several senses of the word) hard information.